Cash Coaster Slots Game by IGT - Take a FREE Pokies Spin Right Here. Cash Coaster is a 5-reel, 30-payline online pokies game from International Game Technology (IGT). The game is available for free online play right above and for real money online, and features a retro-style atmosphere that matches its theme. On this page, we take a look at everything that makes Cash Coaster special, compared to other fun themed games out there. Without a doubt, carnival, and the rollercoaster in particular, is a perfect setting for a video slot and IGT have captured this atmosphere very nicely with great graphics and clever sound effects. Set in Coney Island, the game comes with a wooden-like interface and the reels are perfectly arranged on the screen. Behind the reels, you’ll be able to see roller coaster tracks, which instantly increases the excitement. Wild: The wild card is designated with the word “Wild.” It can substitute all the other symbols, except the Bonus symbol. While playing the base game, reels 1 & 5 or even both can become wild simultaneously, increasing your winning chances. Scatter: This is represented by the Free Spins icon. Landing 3 Free Spins symbols anywhere on the reels awards you 4- 6 Free Spins and pays 30X your coin value. Other Symbols: The regular symbols in the game include; caramel apples, snow cones, ice cream, cotton candy, popcorns, pretzels, and a range of Lucky Number 7 symbol designs. If you can land 3 Free Spins icons anywhere, the free-spins will be triggered. When this happens, you are awarded 30X your coin value and then asked to pick one of the three Ticket Booths to determine whether you’ll get 4, 5 or 6 free spins. During this Free Spins Round, reel 1 & 5 will be entirely wild, and you’ll be surprised at the wins you can get with this feature. 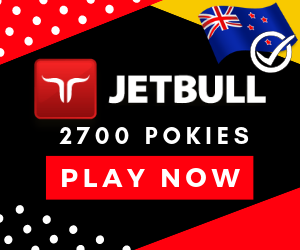 An occasional, slightly different colored symbol also appears during the free spins and landing three or more of these symbols anywhere will award you additional Free Spins. Note: The 30X multiplier will apply to all the wins you realize in the Free Spins bonus and will always remain active for the entire Free Spin session. Once you get on this game, the action starts coming fast & often, leaving you with very little time to get bored. This happens because the 30-paylines pay both ways- (right to left and left to right), which effectively doubles the amount of paylines available for each spin. Coin values range from 0.01 to 50.00 coins and this means that you can place a total bet of up to 2,000 coins per spin. Pressing the “Spin” button starts the game. “Auto Spin” Button lets the system do the work for you by turning the reels for a preset number of times without any interruption. Landing 5 of a kind red 7s gets you a 500-coin jackpot payout. Cash Coaster is a great theme park slot game and comes with everything you would expect from one of the best games from IGT. The game is well designed and its symbols completely fit the story of Cash Coaster. Moreover, with the wild & free spin features, we believe that players have the chances they need to win valuable prizes. Try Cash Coaster today to enjoy the kind of fun it has to offer.